IS DIVINE HEALING FOR TODAY AND HOW DO I RECEIVE IT! MY TESTIMONY-10 YEARS IN HELL AND WHAT I LEARNED THAT CAN HELP YOU! Ten Years in Hell and What I Learned that can Help You!!! going nowhere fast! Little did I know what would come out this prayer! I prayed "God whatever you have to do to change me, just do it, give me a vision of heaven or hell, just spare my life." This prayer led me to experience Ten years in Hell; but out of that would come the Miraculous and Heaven on Earth. God would take me; the biggest wimp who ever lived, and open up the Book of Acts to me so I could Pay it Forward by teaching others how to Receive their Healing!!! CAN THE SICK BE HEALED TODAY? YES! CAN YOU BE HEALED TODAY? YES! IF GOD DID IT FOR ME, HE CAN DO IT FOR YOU! THAT'S WHAT THIS MINISTRY IS ABOUT; REESTABLISHING THE HEALING POWER OF THE BOOK OF ACTS TO THE CHURCH TODAY!!! 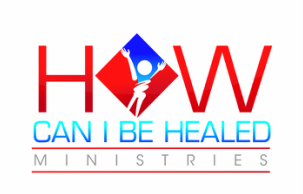 This Ministry is called "How Can I Be Healed Ministries" and my name is Scot Ashcroft. This is my Testimony-My Story of what happened to me over a Ten-Year Period and what I experienced and learned that would forever change me. I guarantee you have never heard anything like this before! Five times Demons literally tried to kill me to prevent this message that God has now given me to show people how to Receive Divine Healing. ​ The first five years were for me to Receive Healing. The last five years were so I could teach you these principles. God opened up the Biblical Promises of Divine Healing and how they work. Now I am paying it forward! Just like Jesus and his Disciples did, I put these Promises to work for me. I practiced on my body hundreds of times successfully and received Divine Healing even when there were periods where fifteen or more things were wrong with me. I have also prayed for others and seen them healed. God called me to teach on four different areas. I believe these are weak areas in the church; especially here in America. These areas are Divine Healing made Simple; How to Break any Addiction in your life; How to Receive Power; and Witnessing for Wimps. I continue to get Revelation from the Holy Spirit Daily and am growing stronger and more knowledgeable. Jesus said in John 14:12 "The Works that I do, shall You do also." I Give all the Glory to God. I HOPE YOU WILL WATCH! What do you have to lose??? DOES GOD STILL HEAL TODAY? PLEASE WATCH MY TESTIMONY "TEN YEARS IN HELL" AND FIND OUT!! !